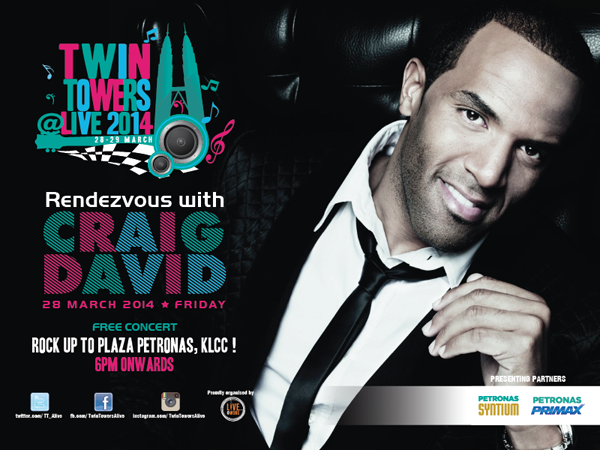 TWIN TOWERS @LIVE 2014 is back to bowl fans over with electrifying music! 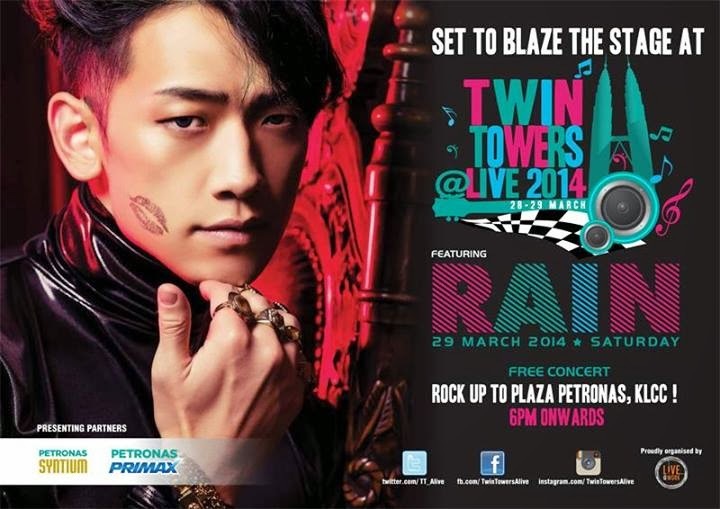 Live music fans are set to send waves across the city once again as they descend upon Plaza PETRONAS KLCC for the 4th instalment of Twin Towers @Live 2014 on 28th and 29th March, 2014. Concert organiser, Live@Work, has pulled out all stops in topping the success of last year’s iteration of the annual music extravaganza where more than 50,000 live music fans grooved to the tunes of Demi Lovato, Backstreet Boys, 2NE1 and U-Kiss. Twin Towers @Live 2014 is set to bring the concert fever a pitch up with 5-time Grammy- award winning international superstar, CHRISITINA AGUILERA taking centrestage as the headliner of the first night of this FREE concert on Friday, 28th March, 2014. Her debut LIVE performance in Malaysia is one of the most anticipated shows of the year. Christina Aguilera is the latest international artist revealed after K-Pop sensation, Rain and international R&B superstar Craig David, were announced earlier. Fans will also be entertained with performances by local artistes, Joe Flizzow, Altimet, SonaOne, Ila Damia, DJ Biggie, Oh Chentaku and Irama. Ila Damiaa , Altimet & Oh Chentaku..
More international artistes will be revealed soon and it is expected to include other big names. Music lovers can expect a diverse range of genres from Pop, Rock, R&B to Hip Hop – a unique feature of this year’s concert. PETRONAS Syntium and PETRONAS PRIMAX are the Presenting Partners of Twin Towers @Live 2014. For the first time, SapuraKencana Petroleum will be collaborating as the Main Sponsor and supported by Dialog Group Bhd as the Support Sponsor. Astro Awani, being the Official Broadcast Partner, will be promoting and broadcasting this highly anticipated event of the year. Tune-in the Official Radio Stations, Mix.fm, Lite.fm, ERA.fm and MY.fm for great selections of airplays of the artists performing at the Twin Towers @Live 2014.